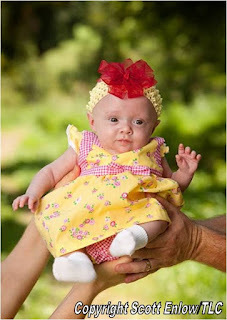 Tune into TLC tonight at 10:00 PM EST/9:00 CST for TWO new episodes of "19 Kids and Counting!" First, watch John-David campaign for Alderman and Joseph get braces in Duggars Rock the Vote. Then, in Donating Duggars, see the family help out the volunteer fire department and then travel to Oklahoma to put together supplies for the oppressed citizens of Columbia. 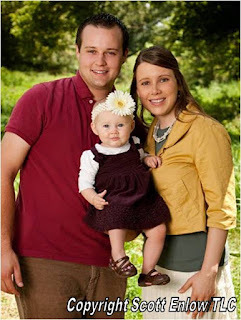 How would you like to meet and greet the Duggar family? Now is your chance! On Saturday, February 13th, Jim Bob and Michelle and their kids will be speaking in Lawrence, Kansas, at a benefit for the Pregnancy Care Center of Lawrence. Tickets to the main program are only $15 per person or $45 for a family. To meet and greet the Duggars, the cost is $100. If you live near Lawrence, don't miss out on this fabulous opportunity! Tickets are on sale now -- click here to purchase. Time for another giveaway! 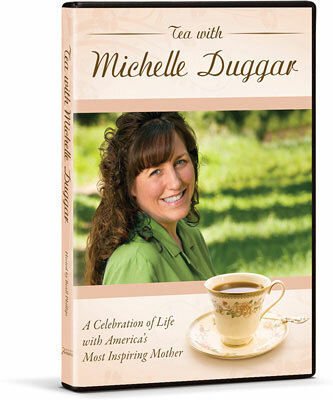 Keep reading to find out how you can win the DVD Tea with Michelle Duggar. This wonderful video shows Michelle's caring heart and even provides a bonus interview with Jim Bob. 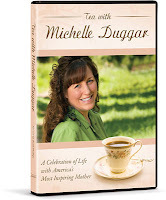 Leave a comment telling us why you are a Duggar fan. Become a follower of the blog, and leave a comment letting us know. If you were already a follower, please leave a comment as well. 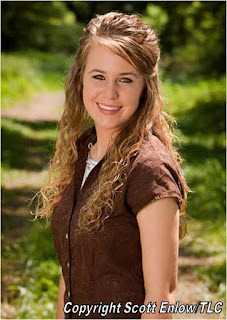 "Like" the Duggar Family Blog Facebook page, and leave a comment on this blog letting us know. If you were already a fan, please leave a comment as well. We need a way to contact the winner, so include your email address in each of your comments, or send your email address to DuggarFamilyBlog@gmail.com (along with your first name and last initial). If you are a winner, we will shoot you an email asking for your shipping address. Giveaway ends Wednesday, February 16th, 2011 at 9:00 PM EST/8:00 PM CST. 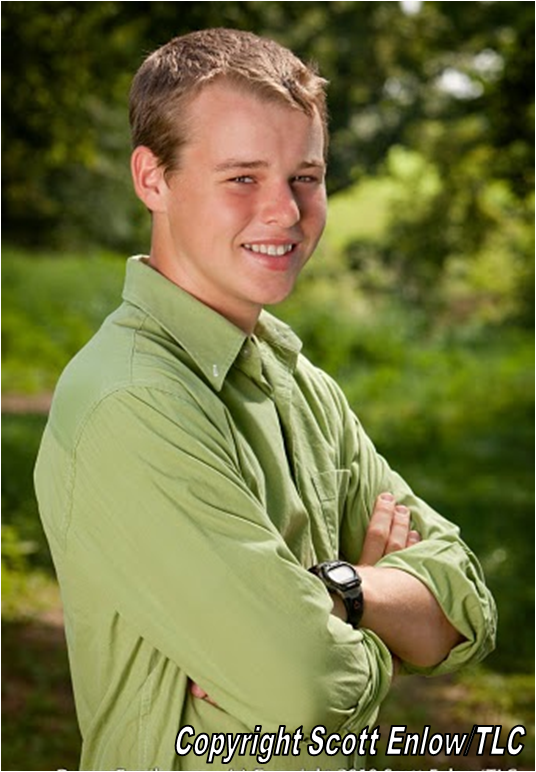 You were right--February is the only month with no Duggar birthdays. Can you believe that? Out of 2 parents, 19 children, 1 daughter-in-law, and 1 granddaughter, none were born in February! Out of how many months of the year does your family have birthdays to celebrate? Can you guess which month has no Duggar birthdays? Make a wild guess, or find out for sure on our handy-dandy Duggar Calender. Then, post your answer as a comment. My how time flies! 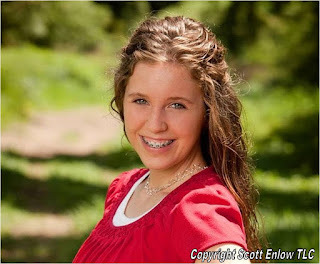 Jessa, the 5th Duggar child, celebrated her 18th birthday. The birthday girl made two requests: shooting and skydiving. This Duggar sure has guts! Jim Bob explained his belief on gun safety: "I really desire our children to learn about gun safety and to learn how to shoot a gun for personal protection." Following their trip to the shooting range (where Jessa was surprised to discover that she is a good shot), the Duggars headed over to the local airport to do some skydiving. But before they went, Michelle made sure there were no more Duggar babies on the way. She was quick to assure her fans that the pregnancy test was negative. "I'm not going to leave the suspense hanging there," said the mom of 19. After strapping on their bodysuits, Michelle and Jessa said a farewell to the rest of the Duggar clan and climbed into an airplane. At 13,000 feet, the door opened, and the mother and daughter prepared to jump. "The only part that really got me was like right before I jumped out," said Jessa. Michelle and her instructor took the leap, followed by Jessa and another professional skydiver. In the air, they enjoyed taking in the scenery and doing twists and turns with the parachutes. "That was amazing!" exclaimed Jessa when they reached the ground. "Coolest think I've ever done!" Michelle felt the same way: "It is the most incredible adrenaline rush I've ever had in my life!" 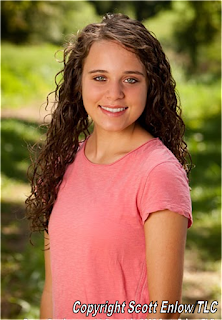 The episode wouldn't be complete without a Josie update: "Josie is doing wonderful," rejoiced Michelle. "We're just excited for the progress she has made." 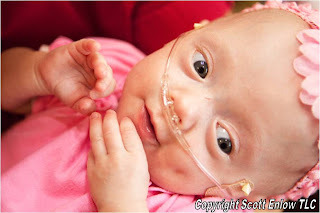 One of the preemie's first family outings was skydiving. But don't worry--she stayed on the ground! Would you consider going skydiving? What did you think of the show? Have you ever been skydiving? Shooting? 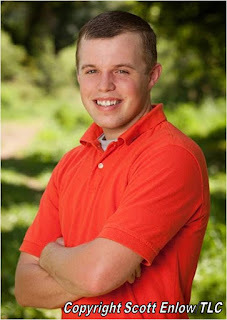 The day we have all been waiting for has finally arrived -- the Duggars return tonight! 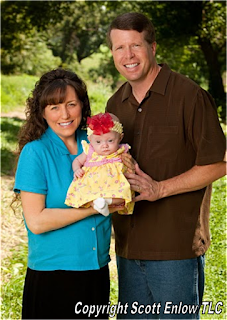 Tune into TLC at 10:30PM EST/9:30 CST for "19 Kids and Counting" Duggars Shoot for the Sky. Jessa has one wish for her 18th birthday. Can you guess what that is? She wants to jump out of a plane! Watch as the Duggars go skydiving and then head to a shooting range to celebrate their daughter's milestone birthday. And there's a little added suspense when Michelle takes a pregnancy test. Looks like we're going to be back on Nina Frye's Living the Dream Mom internet radio show. Mark your calenders for Thursday, February 10th at 10AM EST/9AM CST. And here's the best part: We will be interviewing Jim Bob and Michelle! Post your questions for the Duggars, and we will do our best to get them all answered. Guess what we saw on the Yahoo! homepage yesterday afternoon? A news clip about Gil and Kelly Bates and their 18 children! 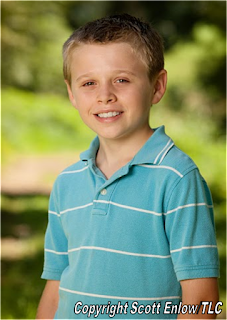 Do you think the Bates family will soon "outgrow" the Duggars? Do you remember your Sweet 16? TLC has just confirmed that the Duggars will be returning early! However, "19 Kids and Counting" is going to be running on a different schedule. The first episode is set for Monday, January 24th, at 10:30PM EST/9:30 CST. Then tune in on Monday, January 31st, at 10:PM EST/9PM CST and 10:30PM EST/9:30PM CST for two more new episodes. The change might be permanent, but look on the bright side: Just one more week to go! Will 10:30PM EST be a better time for you, or did you prefer the old schedule (9:30PM EST)? There's nothing like a thick piece of chocolate cake! Do the Duggars have a recipe like that? They sure sure do! 2. Mix flour and sugar. 3. Put Oleo™ in pan on stove and bring to a boil. 4. Add water and cocoa. Mix with flour and sugar. 6. Flour 11x13" pan. Bake at 375° for 20-25 min. 1. Put Oleo™ in saucepan, bring to boil, then add milk and cocoa. 2. Add rest of ingredients and mix. Should ice 2 cakes. For more delicious Duggar recipes, visit our Recipes page. 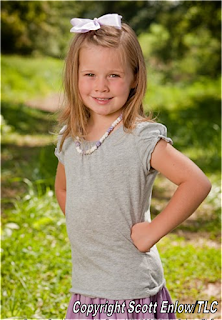 Has your family ever had professional pictures taken? Happy 21st Birthday, Jana and John-David! Have you had your 21st yet? What do you think Jana and John-David should do to celebrate this milestone birthday? Jim Bob and Michelle will be the first to tell you that they are not professional parents, but there is something to be said for having 19 respectful, well-behaved children. Before their first child was born, Josh and Anna chatted with Jim Bob and Michelle on the Today Show. 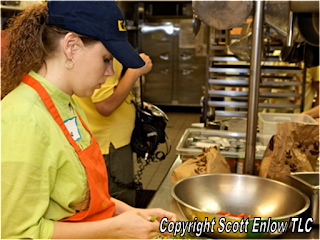 Jim Bob gave them this piece of wisdom: "Teach your children to love the Lord with all their hearts; serve others." In that same interview with the Today Show, Michelle advised Josh and Anna to "enjoy them because they will grow up really, really fast." 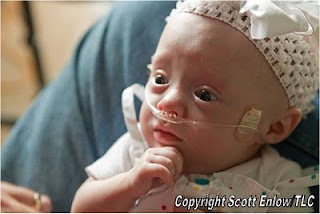 The parents of 19 also stress the importance of keeping up with each child's heart. In our interview with Michelle, she told us that they "love to visit and get to have those heart-to-heart talks with the older ones, and often, that is after all the others are in bed." But even though that means less sleep for mom and dad, Jim Bob and Michelle don't mind at all. "I wouldn't trade it for anything in the world," Michelle told us. "No sleep can be any better than getting to have that time with your kids." Do you agree with these tips? What are some of your top parenting tips? 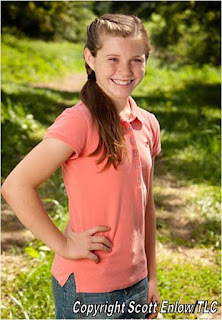 Curious about the Bates family? 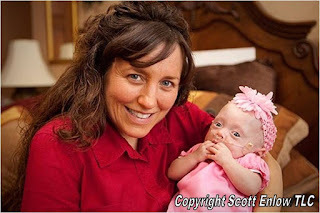 They are good friends of the Duggars and have 18 kids of their own. Did you see the episodes that showed the Duggars helping the Bates family renovate their house? What did you think of the finished product? And now, the announcement you've all been waiting for! New episodes of "19 Kids and Counting" are less than a month away! Mark your calenders for February 1st. Have you missed the Duggars? On a scale of 1-10, how excited are you for February 1st? Just posted some new pictures of the Duggar family, courtesy of Scott Enlow. Visit our Photo tab to take a peak! Scott Enlow and his wife, Courtney, are the owners of Studio E, a photography studio based in Tennessee. 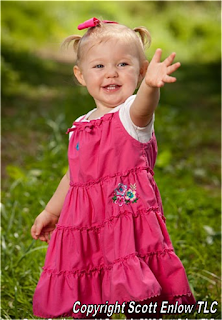 Click here to visit their website, where you will find additional photos of the Duggars.